ANKARA, Turkey (AP) — Turkey’s parliament approved a motion Thursday that gives the government new powers to launch military incursions into Syria and Iraq and to allow foreign forces to use its territory for possible operations against the Islamic State group. Parliament voted 298-98 in favor of the motion which sets the legal framework for any Turkish military involvement in Iraq or Syria, and for the potential use of Turkish bases by foreign troops. Meanwhile, the militants pressed their offensive against a beleaguered Kurdish town along the Syria-Turkey border. 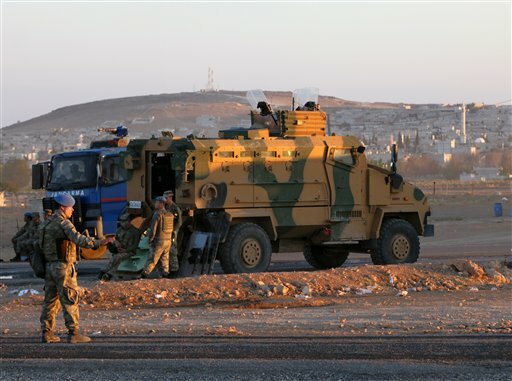 The assault, which has forced about 160,000 people to flee across the frontier in recent days, left Kurdish militiamen scrambling Thursday to repel Islamic State extremists pushing into the outskirts of Kobani, also known as Ayn Arab. Turkey, a NATO member with a large and modern military, has yet to define what role it intends to play in the U.S.-led coalition against the Islamic State group. Parliament had previously approved operations into Iraq and Syria to attack Kurdish separatists or to thwart threats from the Syrian regime. 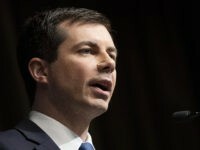 Thursday’s motion would expand those powers to address threats from the Islamic State militants who control a large cross-border swath of Iraq and Syria, in some parts right up to the Turkish border. “The motion prepares the legal ground for possible interventions, but it is too early to say what those interventions will be,” said Dogu Ergil, a professor of political science and columnist for Today’s Zaman newspaper. Ergil said the motion could allow Iraqi Kurdish fighters, for example to use Turkey’s territory to safely cross into Syria, to help Syrian Kurdish forces there, or the deployment of coalition forces’ drones.